Honda’s reputation for being a very dependable and innovative brand is well-deserved. The highly-trained technicians at Coopers Auto Repair know better than anyone how keep your Honda at optimum performance. Since we know your Honda, we know how best to take care of it. The first step should be to bring it to the experts at Coopers Auto Repair. We’ll handle any maintenance and repairs that should arise. The timely oil change schedule that we’ll put your Honda on will enhance your daily commutes and extend the life of your vehicle. It should also save you some money at the tank, improving your gas mileage. If your A/C isn’t cooling or heating as it should, then bring those to us as well. Our technicians can make your vehicle’s rides as smooth as they’re intended to be, by restoring your Honda’s climate controls. 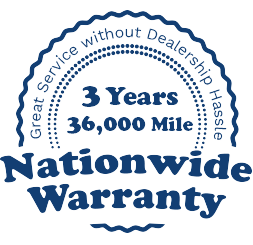 From minor to major repairs, and preventative maintenance, we are your trusted Honda services specialists. Our services include brake repairs. When you start hearing that high-pitched squeal, or that grinding noise is time to come straight to us. In fact, you probably should have brought your Honda to us a long time ago. Being able to recognize the sounds of brakes going bad can be extremely useful. In those cases, time is of the essence and the sooner you bring your repairs to us, the sooner we’ll have you breathing easy and back on the road. Battery service for your Honda is something else we handle. We can test your battery’s power system if you suspect that your starting engine is not operating correctly. Our more extensive and complex repairs include a transmissions service, repairs and clutch replacements, as well as engine rebuilds. We want all Honda drivers throughout Tacoma and the surrounding areas coming to us for any of their service needs. Not only are we familiar with your vehicle’s specific needs and make up, but we provide friendly and speedy services that Honda drivers appreciate.